Dewilka lives with her parents and brothers in a small home. They are very poor as neither of her parents can find reliable work. Inconsistent attendance hurt her academic progress and we hope she will learn to read well this year. 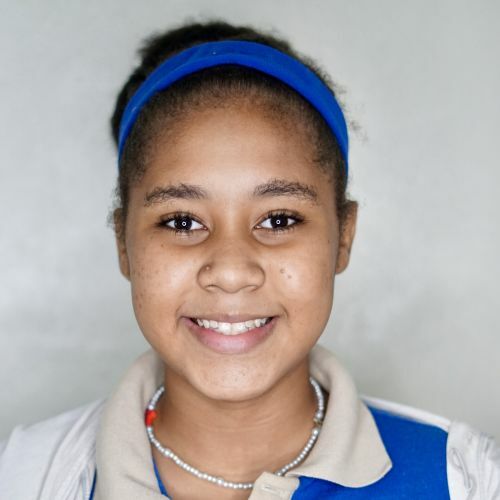 She has a hard time completing her work but is confident, helpful, and participates in class. Raising the flag at school is her favorite thing!